Ensuring quality education, the Jawaharlal Nehru University administration has said it would effect a 25-per cent increase in seats in the academic session 2019-20. The Human Resource Development Ministry has said it will implement 10 per cent reservation for economically weaker sections of the general category from the 2019 academic session. The ministry has also directed to increase around 25 per cent seats in higher educational institutions and universities across the country. 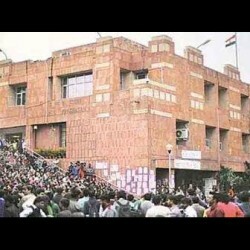 The JNU administration received a communication from the University Grants Commission on January 25. The communication was regarding 'Reservation for Economically Weaker Section (EWS) for admission in Central Educational Institutions', requesting the university to furnish relevant information on infrastructure and other requirements before January 31. In a bid to discuss the steps for implementation of the 25 per cent increase in seats, the vice-chancellor, rectors and the director of admissions held a detailed meeting with the deans of schools and chairpersons of the special centres on January 28. According to Chintamani Mahapatra, rector-I of the varsity, the JNU administration prepared a comprehensive outline of infrastructural requirements and new faculty positions necessary to effect a 25-per cent increase in seats and submitted it to the UGC before the January 31 deadline. The adoption of the new reservation system and announcement of seats for 2019-20 admissions will be as per the UGC Rules and Regulations, he added.